. . Colonial Barsoom Colonial Appendix . Okay, in the previous essay, I explored the various clues to suggest that Lin Carter's Zanthodon was a deliberate copy of Burroughs Pellucidar. This runs through things like writing style and plot, to characters, situations, events and even titles. But this begs the question. If Zanthodon is nothing more than a deliberate literary pastiche of Pellucidar.... Perhaps it is Pellucidar. My view is that if you have a work that takes its inspiration from another works' setting, but is clearly distinct, well, that's likely another setting, and another world. The Yojimbo of the Japanese samurai genre, and the western Fistful of Dollars may be the same story, but clearly, its two different fictional worlds. On the other hand, where you slavishly follow the details of that setting, then I think we can argue that they sort of merge together. Look at it this way, the fictional 'cowboyland' West of A Fistful of Dollars is clearly intended to be not a unique creation, but exists in a sort of shared consensus world, the ‘Wild West’, which is also the setting of Billy the Kid and Marshall Matt Dillon. In short, it's a landscape which has various fictional characters. The hero of Fistful of Dollars never meets Wyatt Earp, but it's sure as shooting that he knows about him. So, when we look at Zanthodon and Pellucidar, I guess the point is that beyond the clear literary borrowing, there's enough clear overlap between the two fictional worlds that we might as well consider one as aspects of another. 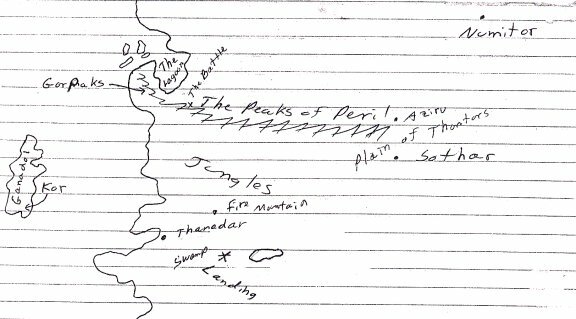 So, this is another of my foolish attempts to prove that they exist in the same universe, i.e., to merge the worlds of Zanthodon and Pellucidar, in a literal, rather than literary sense. Where Does Zanthodon Come From? Professor Potter's explanation for Zanthodon runs like this. Approximately 150 million years ago, an asteroid or incredibly large meteor, struck the earth. How big it is, we have no idea. 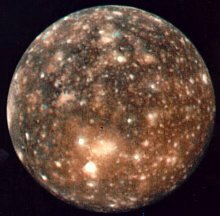 But it should have produced a terrestrial crater hundreds of miles in diameter. This, of course, would be an extinction level event. On Earth, we've discovered remnants of craters a hundred miles in diameter which have been associated with major extinction events. If anything, the Zanthodon crater would have been that big, or perhaps orders of magnitude bigger. At the very least, that should have been it for the dinosaurs, and it might well have been it for anything bigger than bacteria. However, according to Potter, we lucked out. The asteroid came in on just the right angle of collision course, and just the right spot to dive straight down into a volcano or chasm, taking it dozens or hundreds of miles into the Earth where its explosion was contained, much like an underground nuclear blast, but thousands or millions of times more powerful. Now setting aside completely the fact that Volcanoes don't operate like that, that's a pretty incredible coincidence. The explosion literally vaporized hundreds of cubic miles of rock, creating the hollow world known as Zanthodon. Well, okay, there's a loose superficial plausibility here. We might assume that the shockwave of the explosion, combined with the heat and energy released, baked or crystallized the walls of the sphere into a hardness and resilience which sustained the sphere and kept it from immediately collapsing or being crushed by the surrounding crust. And we might assume that the pressure of the superheated gases and vapourized rock also helped to keep the structure stable. We might assume that the intense pressure created micro-cracks, caverns to the Earth's surface, gradually bleeding off some of the pressure. And that the vapourized rock and minerals eventually cooled, condensed and fell to the bottom of the sphere, creating a floor of sorts. So, I suppose in the extremely loose science of the pulps, such a thing is vaguely possible. But, we only have Potter's word that any of it actually happened. He's just guessing. And frankly, there are some problems with this hypothesis. How does a structure like this survive for 150 million years? Geologically, the Earth is a pretty happening place, continents are always scooting around, mountain ranges form and fall, land elevates and subsides, volcanoes and earthquakes are always springing up. Indeed, even in Zanthodon we see signs of active geology, mountain ranges, earthquakes and volcanoes. Zanthodon might be initially stable, but 150 million years of wear and tear should have finished it off a long time ago. And there's the problems of basic physics. Why isn't Zanthodon a boiling hellscape? A hundred miles underground, its temperatures should be hot enough for molten rock. The air pressure a hundred miles underground should be worse than the water pressure at the bottom of the ocean. The very constituents of the air should be a toxic smog. But obviously, Zanthodon is a pretty nice place with temperate climate and breathable air. Finally, what the hell are those dinosaurs doing down there? How does life manage to colonize Zanthodon. Okay, assuming at least one or two relatively straight volcanic passages, we can assume bacteria makes it in. And we might assume pollens, spores and windblown seeds might make it down. Of course, these are passages of hundreds of miles. So only the lightest and most wildly dispersing plants will make it into Zanthodon. But there we go, there's the rudiments of a very simplified species poor plant ecology forming. Given a hundred and fifty million years, you might get a reasonable complement of plant species. So how do the animals get in? Well, birds, bats, pterosaurs and insects all fly. So its possible for them to just fly in through volcanic vents. We could see Zanthodon populated by the descendants of various sorts of flying critters. But dinosaurs? How does a triceratops or a brontosaurus, much less a breeding population, get down there. How do the mammoths get in, or the little eohippus. It's all very well to say caves, but these are all open plains creatures, not cave or mountain dwellers. The Ice Age cave bear might have hung about in caves for shelter, but he didn't go all that far into them. There was no motivation, lunch was always outdoors. Try as I might, I can't imagine the mighty brontosaurus gamboling about the cliffs and chasms of the Ahaggar mountains, sure footed as a mountain goat, taking shelter in caves. Arresting image though it may be, I don't think its plausible. Moreover, Zanthodon is at least 180 miles underground, so a cave with an incline sufficient to allow an animal to walk down would amount to hundreds of miles of passageway. Hundreds of miles of passageways big enough to allow families of brontosaurus or mammoths? Don't think so. And what are these animals going to eat on the way in? Nope, Potter made some valiant guesses, but the bottom line is that he is wrong. The thing with Potter is that he never claims to be right. He simply encounters evidence of a gigantic underground cavern structure, and he constructs a theory to fit the evidence that he's got. He never expects to find dinosaurs, he just assumes that he'll encounter a lot of funky geology. That's cool. But its also wrong. First, to start off with, Zanthodon is not particularly unique in Burroughs or the fiction of his contemporaries or inspirations. Zanthodon is basically a ‘lost world’, similar a number of other lost worlds that we've seen, including King Kong's Skull Island, Professor Challenger's Lost World, Burroughs Caprona and Tarzan’s Pal-Ul-Don. This is hardly a definitive list. ‘Lost worlds’ popped up relatively frequently in pulp fiction. For instance, Doc Savage visited an Island of Dinosaurs somewhere in the Pacific (which might arguably have been Caprona or possibly Skull Island, or perhaps a third site). 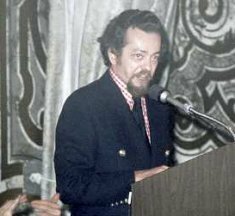 Otis Kline’s Tam, Son of the Tiger also visited a gigantic cavern beneath burma inhabited by strange beings and prehistoric relics. Kline’s Jan of the Jungle also visits a ‘lost world’ domain of dinosaurs which might be a different region of Professor Challenger's land, or another south American relic. So there were definitely others, though some of them are doubtless re-discoveries. Now, the thing is that most of these lost worlds feature an anomaly which is hard to explain. Basically, they host animals from wildly different time periods and geographical regions. King Kong is an ape. Apes are a relatively recent development, evolutionarily speaking, showing up only in the last ten or fifteen million years. Which means that there is about forty million years separation between apes and dinosaurs. And apes are restricted only to Asia and Africa. So what is a giant ape doing co-existing with Dinosaurs on Skull Island? In Professor Challenger's Lost World, there are two distinct populations of hominids (and probably other anomalous mammals) coexisting with dinosaurs. The problem? Proto-Hominids never made it to South America at all. Yet, there are proto-hominid Ape men living in the Lost World, what are they doing there? Humans only reached South America about 11,000 years ago, so its possible that they managed to colonize the Lost World after that time. The same goes for Pal-Ul-Don. We've got a prehensile tailed human-like species coexisting with at least a few species of Dinosaur. The only prehensile tailed primates are from South America. Which in turn suggests that if we have a prehensile-tailed human-like race, they probably evolved over there. So what are the Don doing in Africa? It doesn't help to say that they're 'prehistoric survivors' if those prehistoric ancestors never came near Africa or South America respectively. They're simply on the wrong continent. Caprona is perhaps the worst example of this, because its biology features animals from all sorts of ages. Dinosaurs from the Jurassic and the Cretaceous, and mammals from every epoch from the Paleocene to the Pleistocene, as well as creatures which were native only to Europe, Asia or South America, all of them sitting in an Island in Antarctic pacific seas, thousands of miles from these continents. So, when we got to Zanthodon in Africa, its more of the same. We have sauropod dinosaurs from the Jurassic, triceratops and tyrannosaurs from the cretaceous. There are primitive proto-horses from the Paleocene North America, as well as Pleistocene Mammoths and Cave Bears from Europe. In short, there's a geographical and chronological mixing and matching that doesn't make sense. So, the point is that Zanthodon’s ecology doesn't make sense. One might imagine that a single location might accumulate all the species that lived in that location over hundreds of millions of years. But that doesn't explain how species that never lived anywhere near that vicinity could wind up there. And it certainly doesn't help that we see this same problem in one ‘lost world’ after another. Some are more pure than other, but there are almost always anomalies. So, is there an explanation? Well, actually, there are two. The first is that what might be occurring is that aliens or time travelers or some other entities with remarkable abilities might have created these lost worlds, or perhaps populated literal or geographical islands with species taken everywhere. Sort of a terrarium perhaps, or a biological library. Is there any evidence for this? Well, not in Burroughs or Kline or Farley. One might find a hint or two in some of Carter's other writing. On the other hand, several of Farmer's books, particularly his ‘Tiers’ and his ‘Other Log of Phileas Fogg’ might allow this. In terms of other pulp sources, we can also look to J.T. Edson's Bunduki stories, in which a sort of ‘in-law’ of the original Tarzan winds up on Zillikian, a planet in the same orbit as Earth but on the other side of the Sun so that we never see it. Bunduki is transported to this world by the ‘suppliers’, mysterious aliens of undefined purposes. Of course, if we talk aliens and barbaric worlds on the other side of the sun, we have to acknowledge John Norman's Gor. Gor may well be an artificially created or located planet or planetoid, which has been populated by the alien insectoid ‘Priest Kings’ and which is inhabited in some areas by dinosaur-like creatures. There is another, perhaps better hypothesis.... That all the ‘lost worlds’ we see, are actually only outliers derived from a single, ultimate ‘Lost World’ Pellucidar! One of the problems, of course, with many of these ‘lost worlds’ is that if they truly are isolated lost regions why are their critters so big? This is a serious question. Isolated populations of large animals tend to get smaller. Thus, hippopotamus’ in Madagascar became pygmies. Elephants in Sicily, and Mammoths on Rangel island declined to the size of collies. Basically, large animals trapped in small regions downsize to maximize their population versus their food supply. Interestingly, small animals without predators will tend to get bigger in these areas. But in most of the Lost Worlds, including places much smaller than Sicily, dinosaurs remain dinosaur sized. This suggests that the dinosaurs and other giants have not been in their lost worlds long enough to evolve towards downsizing. The implication is that they're from populations which have enough open territory that they have maintained their full size. Except that area doesn't exist on the surface of the Earth. On the other hand, there's plenty of space in Pellucidar. Pellucidar is a world inside the earth. It's land to sea ratio is reversed, so Pellucidar’s land area is as much as 120 to 150 million square miles. Three times the land area of Earth. Moreover, Pellucidar is a repository for just about every species that has ever existed on Earth, and its internal geography allows those species to spread far and wide in every direction. This means that our problems with time and distance melt away, if we simply assume that these Lost Worlds are actually local Pellucidar populations which somehow wound up on the surface. On the other hand, that's a pretty tall order. How could it work? For those who have read my other essays, I'm covering ground here that I've touched upon in essays on Pellucidar, Caprona, Pal-Ul-Don and Va-Nah. So a lot of this may seem familiar. But bear with me, some haven't read them, and I'll do my best to make it quick and easy. Edgar Rice Burroughs actually gave us two hollow worlds. Earth has its inner world, Pellucidar, which features in seven novels. The moon has its own inner world, Va-Nah, seen in The Moon Maid and briefly in its sequel, the Moon Men. In Burroughs, both of these inner worlds are in the same continuum, linked by crossing references to Barsoom. Indeed, pretty much all of Burroughs fantastic series are linked by direct or indirect reference. Tarzan visits the Earth's Core, for example, and Barsoom communicates officially with Earth in the Moon Maid. Later, the Gridley Wave, a sort of subspace Radio is used to communicate with both Pellucidar and Barsoom. Carson's Venus series starts off with an attempt to reach Mars. And even his Caspak series alludes to life on Mars. But anyway, the fact that we have two hollow worlds in Burroughs, tells us two things. First, that hollow worlds may actually be quite common in his Universe. By implication, Venus and Mars, even Mercury, may have their own versions of Pellucidar. Second, that hollow worlds, if they are a common phenomenon, probably have similar properties and mechanics. Okay, so we know that Earth has two permanent openings to its inner world, at the poles. And as per Jules Verne and others, there may be extensive cavern connections here and there. But there's reasons to assume that there may be other temporary holes opening up from time to time at other places in the earth. Without going too deeply into it, it seems inconceivable that all the different types of Pellucidar life made it in through the poles, or through cavern systems. Quite obviously, many of them could not. However, with the Moon, we have evidence of additional openings between the inner and outer surface. In the Moon, these are called ‘Hoos’ or holes, and they are permanently open. Of course, the Moon is a much smaller and colder body than Earth, rotating very slowly, so its possible, even likely, that its geology was such that when a hole opened up, the area would cool more rapidly and it would freeze in place. Earth is a larger, hotter, more geologically active, rapidly spinning world, so its holes are able to open up and then close. The result of Hoos or holes opening from time to time in the Earth's surface are new species of surface life continually making it into Pellucidar. On the other hand, a likely consequence would be relics of Pellucidar life, left behind and trapped on the surface whenever a hole or Hoos closes. At sea, of course, a Hoos opening might produce Islands which, because they lie within the Hoos’s curvature, are not visible from sea until you are almost on top of them, in an area where stars may not be visible or navigable, and where both the compass and sun do strange things. This actually does seem to be properties of Caprona and Skull Island, both of them large Islands which are extremely difficult to find. So, what Zanthodon might actually be is a Hoos in transition. It was an area of Pellucidar that had extruded to the surface, and now the hole is closed or almost closed. The result is an immense cavern world. In a follow up essay, I'll spend some time analyzing the little bits of Pellucidar and Zanthodon language that we know, and finding connections. Along the way, we'll connect Pellucidar and Zanthodon to the Mangani and Don speeches. But as I've said, that's for another essay. Setting that aside, are there any resemblances between Pellucidar and Zanthodon? - Zanthodon's Panjani humans are described as cro-magnons, but they seem as slim as and no larger than regular humans. So they appear to be more or less identical to Pellucidar’s Gilaks. The Dru-Gars, who are super-sized Neanderthals seem to be an anomaly, but Pellucidar has its own semi-human races. - Like Pellucidar there is a universal language, spoken by all tribes, and interestingly, by the semi-human Dru-gar as well. A universal language is peculiar enough, the fact that it crosses species in both Zanthodon and Pellucidar is significant. - Most races of Zanthodon and Pellucidar seem to be at about the same general level. Semi-nomadic hunter gatherers, living in villages or troops and employing stone age/early bronze age technology. - Both the races of Zanthodon and Pellucidar seem to possess a peculiar homing sense that allows each to find their way around. - Both the Pellucidarean and Zanthodon have distorted time perceptions. They sleep when tired, and time is synchronized between people only so long as they are in physical proximity. Thus, a person could wander off, have endless adventures and when they return to their village find that they've barely been missed because, subjectively to the village, very little time has passed. - Both Pellucidar and Zanthodon have other weird properties of time. Each series of novels introduces characters from the outer world who are have been in the underworld subjectively for decades, but their apparent aging is only a fraction of what it should be. - Both Pellucidar and Zanthodon feature the domestication of Sauropods by different groups. The Mezops in Pellucidar and the Zar in Zanthodon. This doesn't suggest that the Mezops and Sar are connected, but it does mean that in both realms, Sauropods seem amenable to domestication. - Both Pellucidar and Zanthodon feature vegetarian dinosaurs with carnivorous habits. The triceratops and stegosaurs in Zanthodon seem to be aggressive meat eaters. In Pellucidar, a peculiar variety of Stegosaur seems to be a hunter, and the local triceratops, though not particularly aggressive, resembles the Pal-Ul-Don Gryff, a dedicated meat eater. - Both underground realms are classic lost worlds, with overlapping species of dinosaurs and mammals from all over the world and from different eras, including mammoths and triceratops. 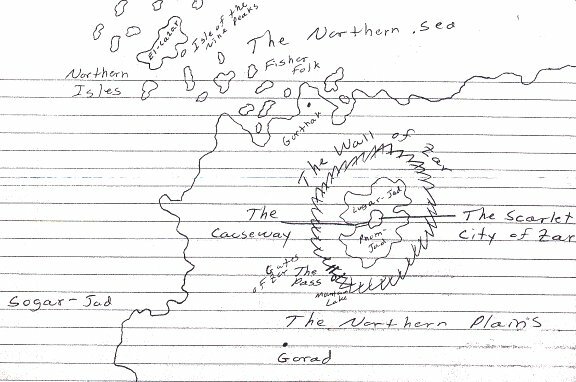 - Both underground realms, in addition, seem to have indigenous species, or at least species not known to the upper worlds records, including the Mahars of Pellucidar and the Sluaghs of Zanthodon. There is a very indirect way of connecting Pellucidar to Zanthodon. Narratively, the Zanthodon stories are secondhand information. That is, the adventures are experienced by Eric Carstairs, who passes the story on to Lin Carter, who then edits and publishes them. The format, of course, is similar to that used by Burroughs, who used the same trick in his Barsoom, Venus and Pellucidar stories. This has the effect of making Burroughs a fictional character in his own novels. And the fictional Burroughs is quite a bit different from the real life Burroughs. Indeed, the fictional Burroughs appears to come from family money, and may be related by blood or marriage to John Carter himself. While on Safari in Africa, he encounters David Innes. At another point, he leads an expedition to Caprona to rescue seafarers trapped there. As late as the 1960's, he's still a hale and hearty man, hunting Polar Bears in the arctic and holding senior positions in the government. 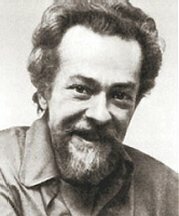 Lin Carter in Zanthodon is little more than a cipher. Carter writes in an Editor's Note: "I have known Carstairs off and on for several years. Although the rugged young adventurer is many years my junior, we seem to have hit it off from the start..." What does this tell us? That Carter is a writer and an editor, that he has no direct knowledge of the adventure, but that he has known Eric Carstairs for a long time. In short, although we know nothing about Carter in the series, its established that he is a part of Eric Carstairs' history. Now, the interesting thing is that Carter used the same technique in his Callisto series. Again, he becomes the editor of manuscripts which come to him. In Callisto it goes further, and he becomes a visitor to another world and a protagonist, Lankar, of one of his own books. It strikes me that its not unreasonable to assume that the fictional Lin Carter of the Callisto series is the same fictional Lin Carter of the Zanthodon series. Which would mean that the Zanthodon and Callisto series are set in the same fictional universe. Why is that significant? Well, because elsewhere, we've gone well out of our way to establish that Callisto and Barsoom exist in the same universe. And Barsoom exists in the same universe as Pellucidar. So if Zanthodon exists in the same universe as Callisto, then that puts it in the same continuum with Barsoom, which is in the same reality as Pellucidar. As I've said, it's a roundabout trip, but it gets us there. The endless resemblances in structure, style and plot between Zanthodon and Pellucidar are explored elsewhere, even down to resemblances in names and specific plot incidents. None of this is accidental, but a deliberate choice on the part of Lin Carter. Looking at the sort of connections here, we have to consider that Carter knew all of the Pellucidar books when he sat down to write Zanthodon. So, the literal resemblances are not accidents, but clear borrowings. Carter knows all about Pellucidar’s homing sense and universal language when he decides to give a homing sense and universal language to his Zanthodons. So, Carter is making deliberate choices to draw heavily from Pellucidar when building Zanthodon, to make it as close to Pellucidar as possible. This suggests that in Carter's own mind, Zanthodon was heavily connected to Pellucidar, if not Pellucidar itself. Likely, Zanthodon only existed as a separate realm for Carter because he didn't have the rights to Pellucidar itself. Given this, I think that we have to attribute Zanthodon as an outlier region, or some sort of segment of Pellucidar. If Zanthodon was once a full Hoos, then it must have existed on the surface of the Earth for a time, before beginning to sink back to Pellucidar. Do we have any evidence for this? Is there anything that would indicate that this was so, or when it was so? Yes, in the Empire of Zar. Now, here's the thing with Zar. It is a full fledged representation of Minoan culture. That is, we go there, and we find a full sized Minoan city, and all the technologies necessary, from forging and smithing different kinds of metal, manufacturing weapons and various sorts of goods, high end stonework, sophisticated plumbing and sewers, woven cloth, jewelry, shipbuilding, agriculture, etc. Now, its been three or four thousand years since the Zar have been separated from their Minoan ancestors, so its possible that they would have redeveloped all these technologies on their own. But there are problems with this. Reinventing lost technologies would have produced a different culture, founded on hardship and encouraged by new discoveries. We're told that the Zar are very close to their Minoan ancestors. Moreover, the Zar are surrounded by the Panjani who they dominate. If the Zar had come in without most of their technologies, and in small numbers, they would have never been able to overwhelm and enslave the Panjani. Instead, the Panjani would have likely slowly kept up with the Zar's advances or rediscoveries. Sear advances or rediscoveries would have percolated into Panjani cultures. That doesn't seem to have happened, despite at least some of the Panjani transiting into bronze age technology. Clearly, the Minoans were seafarers. They weren't exploring heavily inland. It's hard to imagine any substantial number of the Minoans travelling inland and stumbling through hundreds of miles of caves. Worse, its hard to imagine that the Minoans accidentally brought the diversity of craftsmen, artisans, trade people, warriors, etc. to reproduce their entire society in an exploration. The more likely option is that Zar was a Minoan colony or outpost deliberately founded by the Minoans. The Minoans made a major investment, including shipping over the numbers and the skill sets necessary to reproduce Minoan society. You're not going to get that from a handful of lost explorers stumbling through a cavern. This suggests that Zanthodon was on the surface. More, it suggests that Zanthodon had a sea connection to the Mediterranean. Probably a bay which became Zanthodon's 'lesser sea' or 'great lake' when the region 'sank.' Minoan civilization dates about 3000 to 4000 years ago, which gives us a time scale for the period in which the Hoos was on the surface. In fact, the ‘fall of atlantis’ deluge which Plato reports, might well have been the sinking of the Hoos and its effects on the Mediterranean region. The Omadons may also be a clue. The Great Cave Bears survived until the end of the Ice Age, and inhabited Europe's mountains. It's not out of the question that they also colonized the North African mountains. Their time period would have been 11,000 to 10,000 years ago... Although an isolated population in North Africa could have survived longer, till 8000 or 5000 years ago. So its possible that the Omadons, like the Zar Minoan culture, may be life forms that have actually made it into Zanthodon from the surface. Which would suggest that the Hoos may have existed on the surface for a period of thousands of years, somewhere between 3000 and 6000 years. Of course, the Omadons may have also been from Pellucidar. In which case, the Hoos may have been of considerably shorter duration, perhaps a few centuries only. To be honest though, I put little credence in the Omadon theory. We're on firm ground with the Minoans, but the speculation is much flimsier with the bears. Was the Hoos open during the time of the Barbary Pirates? Nope. This is too far into the historical period, and if it had been the case, we would have seen Phoenicians, Romans, Vandals and god knows what else. However, at a guess, we can say that Zanthodon and a major passage to Zanthodon must have been known to at least some clans of the Barbary Pirates, since they were able to relocate, not just themselves, but all their technology and domesticated plants. Carter has it that they were refugees who fled there with little but the clothes on their backs. Possibly that's true. But the Barbary pirates would have had to have taken their shipbuilders, their carpenters, their blacksmiths, their metal forgers, their masons, glassblowers, sword makers, even their vintners, etc. Their city in Zanthodon reproduces all the technology that existed on the surface, and obviously many of the domesticated plants. You don't get that by accident. What seems most likely is that the Barbary Pirates had already found Zanthodon, and had the entry well mapped. They might even have established a base there, and they likely had already chosen this as a kind of escape hatch or fallback. A secure place to which they could retreat, wait out their enemies and return when least expected. So what happened? Very simple. The caverns that they used to get in eventually closed and they couldn't get back out. Not even to send spies to the surface. One thing is that Zanthodon seems to be extremely active geologically. Several times in the Zanthodon books there are references to volcanoes and earthquakes. In one case, a tribe is completely dislodged and has to flee its traditional area because of a volcanic eruption. In another case, a volcano erupts and chasm opens, saving our heroes from a Triceratops charge. None of the cavemen consider this bizarre or unusual, and you'd think that if they've been living there, generation after generation, they'd notice that the place was getting out of hand. So, what this tells us that volcanic eruptions and earthquakes are pretty much SOP in Zanthodon as far as anyone can remember. The intensive geological activity suggests that Zanthodon is a region in a period of rapid transition. And indeed, Zanthodon seems to be half way to Pellucidar. We don't know precisely how far down Zanthodon is, because Carstairs took a nap. But indications are that it is now at least 100 miles, and perhaps anywhere from 180 to 240 miles deep According to David Innes, Pellucidar is 500 miles down. So Zanthodon's evolving closing Hoos is not that far out. So its likely that Zanthodon connects to Pellucidar, either through cave connections as with the surface, or it literally opens out into Pellucidar.